Aratana Therapeutics leverages human pharmaceutical and biotechnology drug development for compounds to create new treatments for animals. The company focuses on drugs for major diseases and unmet needs in animal health, and applies a capital-and time-efficient development model to streamline the path to regulatory approval. 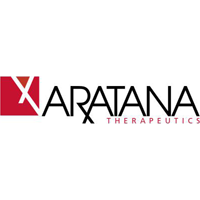 Aratana Therapeutics went public in June 2013 (NASDAQ: PETX). Learn more about Aratana Therapeutics at aratana.com.